You have been promising yourself you will start on your family history … but when?? You might already have the genealogy – family tree in good shape with many branches and going back several generations, but what about the family history itself. Here are some ideas to give you the inspiration to start the family history now. Start with special ‘you‘ time, even if it is only for one hour a week. Put that hour on the calendar and let everyone that is time for you only. Once you are ready to start, just outline a plan of action. Start with the easiest ancestor, which could be your one of your parents, the one you feel you know the best. 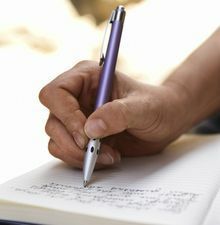 Review what information, notes, photos, letters you have one that one person. Right then some unusual events, happening related to that person should appear to you – an idea is formulating. An idea such as when your mother right left home, either to attend college, start a new job or a new wife with her own home. That can be a fascinating jump start, what was the reason you mother moved out of her parents’ home, what happened, what were the results. If you mother is still living, formula some questions related to this topic to ask her. If she is not living, is there a sibling or cousin of hers you could question? If your mother attended a school, it might be written about in the hometown newspaper. If she got married, that would be in the newspaper also. 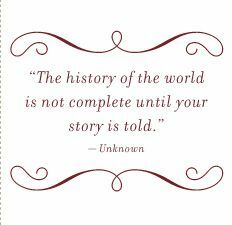 The story does not have to be long or lengthy. Just think what you as a descendant or any other future descendant would want to know happened. Here is an example of a segment of my mother’s college years. Information was mostly located through records and newspaper articles. During Nan’s pre-medical program at the University of Pennsylvania, she had found several of her courses to be very difficult. She was questioning whether she could truly follow a medical career. By mid-1937 she made the decision, with her father’s influence, to switch to the study of law. From 1937 to mid-1939 she attended the University of Maryland in their School of Law program. She was an excellent student and was able to ace most of the classes. Very few law schools were interested in admitting a female student but Nan investigated various schools of law and was finally enrolled from September 1939 to June 1941 in Eastern University, located in Baltimore, at their Mt. Vernon School of Law. After completing her law courses over the next couple of years, it was on June 7, 1941 that Nannie received her law degree (LL.B.). There were eight males in her graduating law class; Nan was the lone, sole female. She had crossed a major hurdle by showing the skeptics, that she was up to the demands of law.